Life Changing New Year’s Resolution Ideas That Anyone Can Stick To. Every year millions of people do the exact same thing. 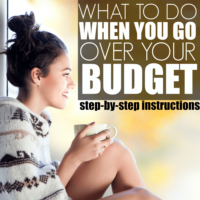 They make grandiose declarations that they’re going to work out every day, get their budget under control, and finally get organized. In fact, these three things make up more than 85% of New Year’s resolution ideas. But every year, just 8% of us actually achieve those goals. And most of us don’t even make it a month. I should know, I used to be one of them. 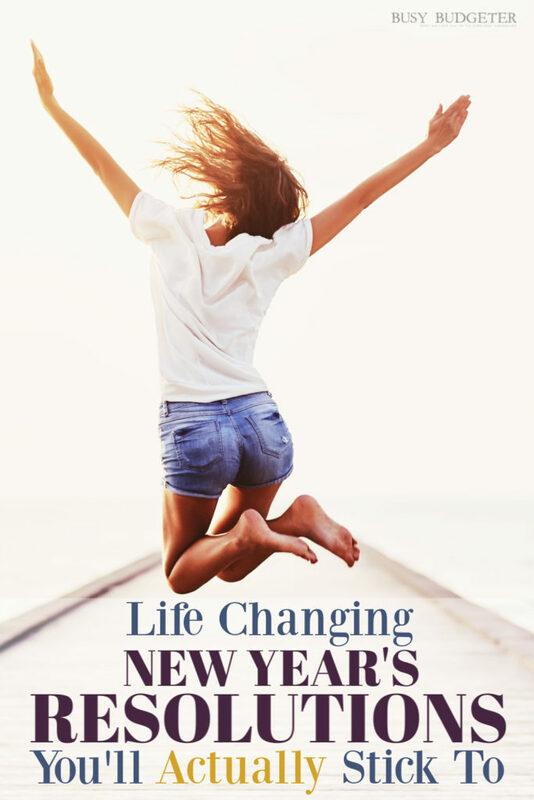 Year after year, I set fierce resolutions, determined that this year would be different. And every year, I would fail, sometimes within just days. Until one year, in 2012 when I didn’t make a big grandiose resolution. In fact, I barely made a resolution at all. Instead, I had a tough talk with myself and saw myself for the first time as I really was. I’m a mess. I’ve never had a bedroom (or any other room) that stayed clean for more than a few hours. I’m impulsive. I CAN NOT say no a brownie that’s in front of me. I also can’t walk away without buying something I want unless I literally don’t have any way to pay for it. And I could suddenly see that I’ve been tenaciously trying and failing to change a personality that’s been set in stone during my formative years for over 15 years. And that was that. I stopped. Instead, I started accepting who I was and started testing ways that I could actually get the results that I need (to pay off my debt and get organized) working with my personality instead of against it. And shockingly, it worked. I got organized, we reduced our spending by over $23,000 that year, I got to quit my job and start working at home the next year as we finished up paying off our debt. And I’m going to explain to you in detail the most important three things that made that happen. 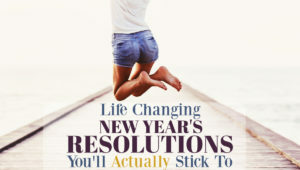 Because your resolution isn’t going to change your life. Or even your year. New Year's Resolution Idea #2: Master Simple Routines before Complex Routines. The second New Year's resolution idea is that you MUST tackle things in the right order to actually change. There are two types of routines… Simple routines and complex routines. A simple routine is something that doesn’t really rely on other things getting done first. Like your laundry… For the most part, you can do laundry in any situation. Your house doesn’t need to be clean first and you don’t need anything special. Just dump it in and hope you won’t forget it and let it mold. A complex routine is something that relies on other things getting done first. Like meal planning. You can’t really make dinner in any situation (unless you call dinner cheerios- no judging). 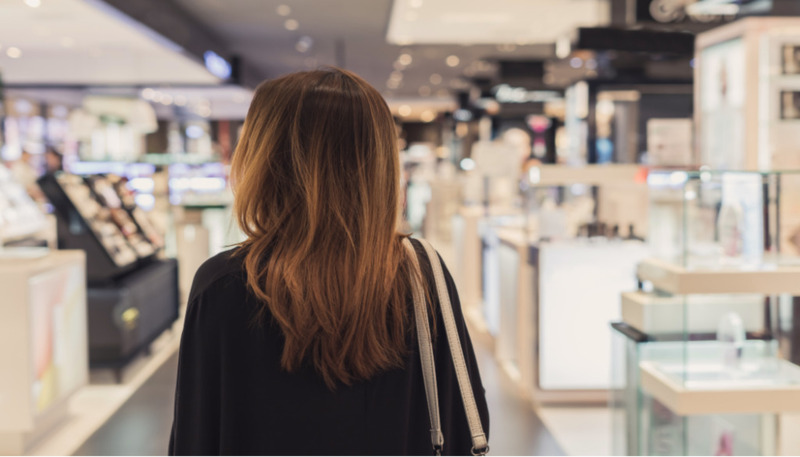 You need to know what you want to buy, you need to buy groceries (and you need time to go get them! ), you need to store the groceries properly so the meat you need for dinner tonight isn’t frozen rock solid. 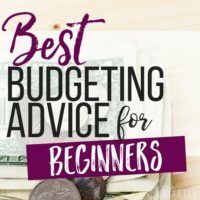 You even need to have enough money to buy the groceries and to know how many people you're feeding, and whether enough you have enough time to make dinner with your crazy schedule. And with a complex routine… if any one of those things falls through… you fail. So in order to make your resolution stick this year, you NEED to understand that everyone makes resolutions for complex routines and no one makes resolutions for simple routines. Then you need to think about what would happen if you instead focused on the simple routines. You’d master them one at a time, building new skills and routines as you go so that when you go to tackle a complex routine, it happens easily. This is the secret to not making and breaking the same resolution for 15 years. It’s what happened to me and it’s what happened to thousands of others that I’ve taught it to. Being able to see what happens when people start small and skill build is ridiculously motivating and inspirational. It’s life changing. But that’s not all you need. In fact, if you don’t understand the second secret to resolutions, you’ll still likely fail. 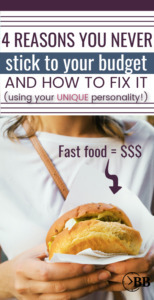 New Year's Resolution Idea #3: Work With Your Personality and Incentivize Everything. 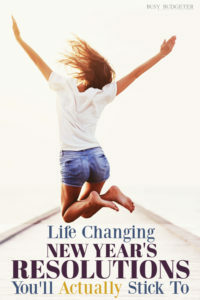 The third New Year's resolution idea is that you have to work with YOUR personality in order to make any changes. That means that any “solution” that requires us to have discipline, will power, or physical labor are not going to work. This is why every resolution has failed. They’re all the same. They sound motivating don’t they? But you have less than 8% of actually achieving any of that. (8% is the national average- but we’re special cases- we’re more like 2%). Because while some people have the willpower to make that happen (That would be that 8%), we don’t. Knowing that we need to tackle the simple routines like automation, laundry, dishes and your schedule book before attempting to meal plan, budget, clean and work out helps a ton. But it doesn’t solve the biggest core problem. When faced with two options, we’ll always pick the one we want most IN THAT MOMENT. And when you’ve had a crappy long day, you will always choose Bachelor in Paradise (assuming you have equally terrible taste in TV as I do) instead of chores. 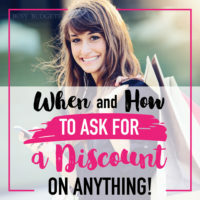 And when you’re running through Target, you will always buy the fancy planner, stickers, and accessories even if you're not entirely positive that your card won’t get declined. That’s what being impulsive means. It’s not your fault. And you have (almost) no shot of ever changing it. But this is why we try and fail, over and over again. We work with our personalities by incentivizing EVERYTHING. Basically, we set ourselves up to win- where the only way to get what we actually want is through getting what we need. Want to save money? Awesome. The only way to do that is to take a percentage of everything you save and blow it on whatever you want guilt free. 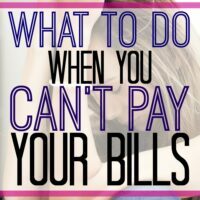 You are NOT allowed to pay off debt with it, or buy someone else something. You have to spend that money on whatever you really want (we’re talking secret desire). Because right now, you aren’t even overspending on things that make you happy. You’re over spending on groceries and eating out and crap you don’t even care about. Suddenly, you're a money saving fool and you ironically shop more than you did before. It's the strangest thing. Want to save time? Awesome. The only way to do that is to stop working. Seriously. You wake up every day and from the moment your feet hit the floor to the moment you collapse into bed (way too late!) you never stop doing stuff. How is it even possible that your house isn’t spotless when you never stop doing stuff?! Ironically, it’s because you spend all of your time doing the 80% of stuff that doesn’t matter while the 20% of stuff that does matter affects your life, your relationship, and your family. When you have very specific blocks of time where you only do the specific chores that matter, and then you HAVE to stop, do you know what happens? That house that’s been trashed for YEARS looks presentable and even neat when people stop by unexpectedly. You stop getting into passive aggressive text fights with your spouse over who does more work and who created the mess to start with. You stop thinking about your house at all. You start thinking about how weird it is that you do a quarter of the work you used to and somehow get to spend more time watching Bachelor in Paradise (or re-reading Twilight in a hammock when you give up on reality love*). The fact is that there will ALWAYS be more chores to do, more house to clean, and more house to organize. It will never end. There's no incentive for working harder or smarter. It's just a long life of endless housework. You need to decide what ACTUALLY matters to you and you need to set a limit on when things need to be done. When your blocks are done for the day- you stop. But that’s an hour a day and nothing more. Assuming you work and have a commute, sleep 8 hours a night, and meal prep, that gives you 5 HOURS every day to do whatever it is that you want. And just like before… it needs to be whatever you really truly want (secret desire). If you’d rather take 2 hour long baths than read to your kids I won’t judge. It only works if you spend the free time doing what you really want. Which all sounds amazing, but there’s one more secret you need to understand before you can create a resolution you’ll actually stick to. (And I think by now we all know that this is about far more than just your yearly resolution). With just the first two secrets, you have a much better chance of succeeding, but it’s not a slam dunk by any means. But secret #3 will seal the deal for you. In fact, in our last survey, it increased the odds of you sticking to your goal by 583%! New Year's Resolution Idea #4: Only Do The Things That Matter. The fourth New Year's resolution idea is to only do the things that matter. Trying to “eat well” by making complicated meals. I was always either in full “Chickfila mode” or “Chicken piccata with grilled asparagus and a citrus beet coleslaw” mode. There was no in between, I’d spend an hour making complicated meals, determine it was too hard to cook at home and go back to Chickfila. Running errands all the time. The library, the grocery store, Target, Walmart, the school, picking up a prescription, grabbing a gift, and getting the oil changed. All of those errands that used to be essential because I didn’t understand how to automate for free took HOURS of my life every week. Organizing spaces that are trashed (and will be again 5 days after I organize them). Trying to clean out and organize a room (and then usually spending $100 on organizing containers) when my natural habits had NO CHANCE of supporting keeping that room clean was pointless. Catching up on the house. The binge and purge cycle. The house gets completely trashed, then you spend an entire day or two trying to get caught up (but you don’t) and then you trash it again because you're exhausted. Repeat over and over endlessly. Mindlessly scrolling Facebook to procrastinate doing whatever I don’t really want to do. Trying to stick to a system not built for me. All of those motivating cute cleaning checklists and systems on Pinterest? Garbage. 3 days max and I was back to trashing and catching up. I’m not even looking for the “wipe off the top of the fridge” kind of clean. What I realized when I started playing with my personality to figure out what would work is that the old saying that 80% of results come from 20% of the effort is completely true. Do you know what I found when I committed myself to only do the most important things consistently and letting everything else go? The house didn't get trashed. It stayed relatively clean every day and last minute visitors didn’t bother me. I stopped needing to do things frantically last minute (Like wash the boy scout uniform, do the dishes before dinner, or find the form for school) because all of those things were taken care of. I had SO MUCH free time. Enough to start this blog that turned into a business, to take bubble baths and watch trashy televisions. I even got to go to all of the soccer practices. We stopped fighting about chores, who did more, and who was making the messes. The things that weren’t clean (like the random cabinets and drawers) stopped bothering me (and him!) and eventually mostly got cleaned out with the extra time. Being productive is not about doing things all the time. It's the total opposite. It's about doing the things that matter quickly so you can go back to your life. This is actually true even for “normal people” who don't have our high impulse and disorganization. But it's especially true for people like us. Don’t do the same thing you’ve done every other year and set the same resolutions that you’ve tried and failed to achieve for years. Tackled simple routines (like dishes) BEFORE attempting to start complex routines (like meal planning). Only do the things that matter by focusing on ONLY doing the things that will have a direct impact on your daily life and doing them consistently. Ironically, I know exactly what will happen, because I’ve been teaching this as part of testing for Hot Mess to Home Success (a complete home management system that teaches you how to manage your home (and your life!) in just one hour a day) to others for 18 months and their results have been life changing. (Hot Mess to Home Success isn't available right now, but you can join the waiting list here). 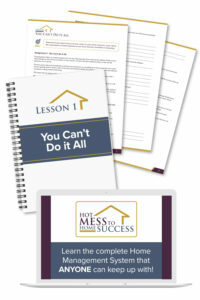 You can learn more about Hot Mess to Home Success here. Does any of this sound like you? Comment below. Want more? I just did an interview at GoBanking Rates where you can why saving money has nothing to do with savings money (and has everything to do with your home routines!). 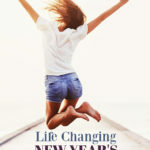 Hi Rosemarie, I love your view on resolutions we can actually achieve and will make a true difference to everyday life! Really made me think about mine for this year… You make it sound so easy! Thank you for sharing! Everyone takes a resolution before the start of every year and only a few make it as their wish, Creating your resolution as your routine is more important, nothing comes to you easily. Every success needs hard work, loved this blog post it is interesting to read and kept me engaging.